Runwal Bliss is a residential project developed by Runwal Group.The project is located at Kanjur Marg, Mumbai.The project offers well-designed 1BHK, 1.5BHK, 2BHK, 3BHK, 4BHK and 5BHK apartments at very affordable prices. The project is well connected by various modes of transportation. The site is in close proximity to various civic utilities. What is the location of Runwal Bliss?The location of the project is Kanjur Marg (East), Central Mumbai suburbs. What are sizes of apartments in Runwal Bliss? The apartment sizes in the project range from 496.0 sqft to 1904.0 sqft. What is the area of 1 bhk in Runwal Bliss? 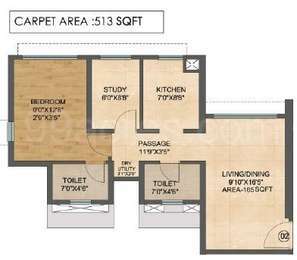 1 BHK units in the project are available in a size of 496.0 sqft to 537.0 sqft. How much is area of 2bhk in Runwal Bliss?  Two-room units (2BHK) in the project are available in an area of 663.0 sqft to 813.0 sqft. What is total area of 3 bhk in Runwal Bliss? 3 BHK units in the project are available in a size of 974.0 sqft to 1249.0 sqft. What is total area of 4 bhk in Runwal Bliss? 4 BHK units in the project are available in a size of 1085.0 sqft to 1904.0 sqft. Since 1978, the Runwal Group has shaped more than 65 large-scale projects that have redefined the standards of residential, commercial and retail spaces across Mumbai and Thane. Though all designed differently, they complement each other in one aspect - every project is built around your needs and desires. Because for us, you and your wishes are a priority. And perhaps, the singular reason why we pay attention to even the smallest details. ruction, we think about you. That is why, our corporate policy has always been about providing you with the best. Working under the guidelines set by our visionary founder - Chairman Mr. Subhash S. Runwal, we strictly adhere to an ethical code of conduct that has led us to, proudly, earn the trust and respect of millions across the country. All investors have bear huge losses. I was offered a 2BHK 732 carpet area at 1.60 Cr (prices as of Jan 2018) by an agent but the flat is highly unstructured. There is wastage of area at many places in this configuration. But in my opinion the prices will go down heavily in the near future in Mumbai. Top 15 Luxurious Pre-launch Project In Mumbai Central Suburbs. Will get minimum 40% Appreciation within 2 years. 1. Oberoi Exotica - Oberoi Realty ( LBS Rd-Mulund West) 2. Wadhwa Atmosphere - Wadhwa Group (Mulund West) 3. Runwal Bliss - Runwal Group ( Kanjurmarg East) 4. Ariisto Heaven - Ariisto Group ( Mulund West) 5. Tata Eleve - Tata Group - (Bhandup West) 6. Runwal Forest - Runwal Group (Kanjurmarg West) 7. Wadhwa Courtyard - Wadhwa Group (Thane West) 8. Lodha Big Bang - Lodha Group ( Kolshet, Thane West) 9. Godrej Central - Godrej (Chembur) 10. Sheth Montana - Sheth Group ( Mulund West ) 11. Sheth Avante - Sheth Group ( Kanjurmarg West ) 12. Wadhwa The Address - Wadhwa Group - ( Ghatkopar West ) 13. Majestic Tower - HDIL - (Nahur West) 14. Godrej Trees - Godrej - (Vikhroli East) 15. Tirumala Habitat - Transcon Group - (Mulund West) Contact for booking : **********. There are many unsold inventories in Runwal Bliss so will the builder sell the flat at low price. As the ready to move in apartment in Kanjurmarg East costs not more than 1.2 Cr and why these under construction properties are so highly inflated. There seems to be an artificial inflation of prices in that area.